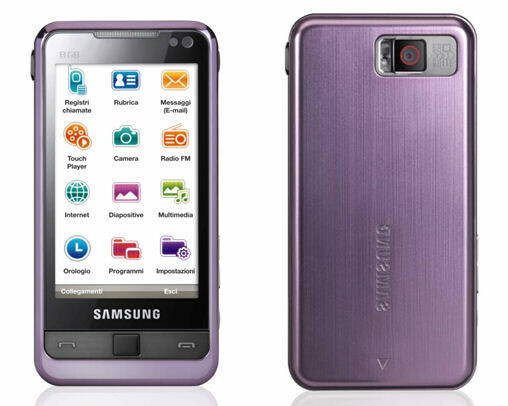 An Italian site claims that Samsung will release a new OMNIA Reloaded model, that will be available in a new purple color and will offer a few new features. Specifications and other features of the OMNIA Reloaded remain unchancged when compared to the original model. The new Social Networking app will allow you to stay in touch with your network of friends and even upload/download photos or videos directly from up to 7 of your favorite sites like Facebook, Flickr and mySpace. SpaceMe, ExploreMe and PlaceMe will allow users to share places of interest with their friends. The SecurityRed function will allow an OMNIA owner who suspects that his unit has been stolen or lost, to remotely manage important functions. And Try 'n Play is a service for buying full games directly from the phone. The OMNIA Reloaded is expected to be offered for retail sale in Italy starting this month, for 469 Euros. There is no word on other markets where we might find the OMNIA Reloaded coming soon.